Any special occasion means a celebration that would always be bright, glamorous, and memorable. 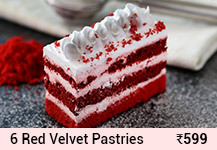 Apart from a great decoration, food, music, and close friends and relatives, you need a ravishing cake to add just the right amount of happy flavor to your celebratory moments. 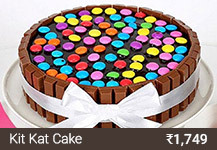 So, here we present to you a joyous collection of cakes that would make you loved ones enjoy the party more. 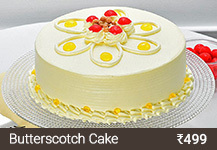 You can get an online cake delivery in Hyderabad easily through our website. 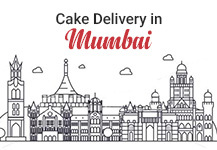 We have all types of cakes like cream cakes, chocolate cakes, semi-fondant cakes, tier cakes, designer cakes, cupcakes, pastries, coffee cakes etc. 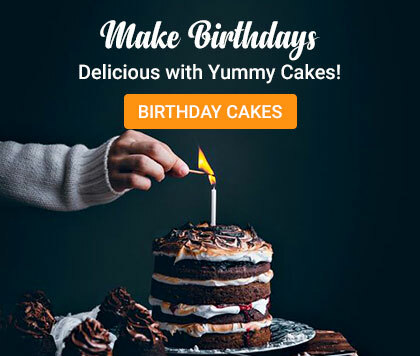 Therefore, pick up your favorite and order cake online in Hyderabad and surprise your loved ones on occasions like Birthday, Anniversary, Housewarming, Christmas, New Year, Diwali, Valentine’s Day, etc. 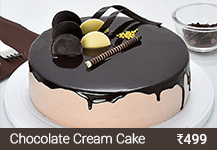 You can also enjoy a same-day cake delivery through our online cake shop. 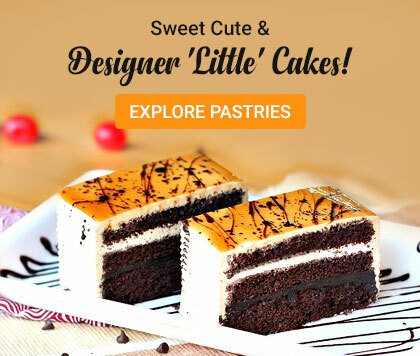 So, take some time out from your busy schedule and select the most gorgeous cake that would add more happiness to your special celebrations! 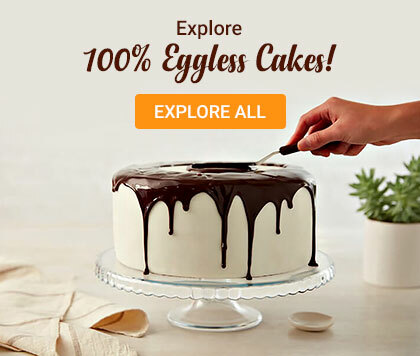 A cake can never bog you down! 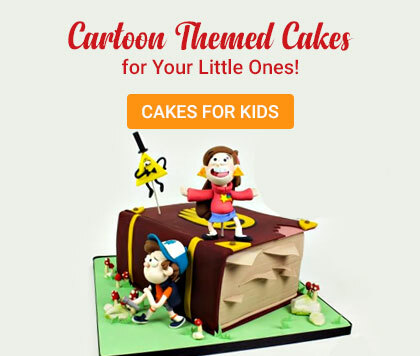 You can be dealing with intense problems but with a bite into the cake would make you feel definitely better. 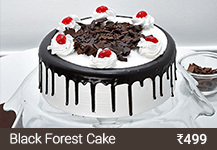 Even researches have also revealed that cake kills depression. 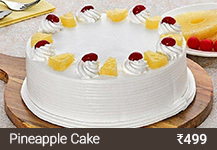 Therefore, you can enjoy a cake not only during festivals and occasions but also on those days when your mood is just not right. 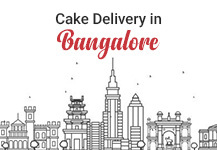 Send cakes to Hyderabad to your best friend who had a bad day at work or missing hometown. During those depressive days, having a jar cake or cheesecake or cupcake would give you enough strength and positive energy to kill the challenge you are facing in life! 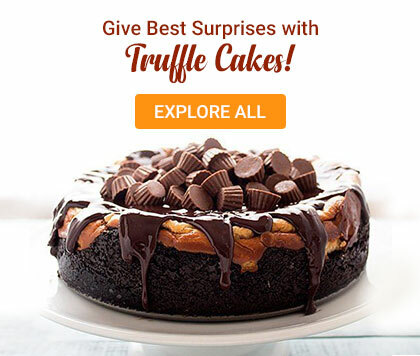 You can choose from our huge collection of flavorful cakes like Chocolate Truffle Cake, Red Velvet Cake, Mango Cake, Lemon Zest Cake, Butterscotch Cake, Strawberry Cake, Pineapple Cake, Black Forest Cake, Chocolate Fruit Cake, Blueberry Cheesecake, Coffee Cake, etc. 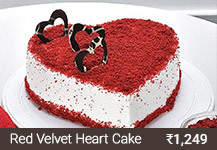 For wedding event, you may order a tier cake while for anniversary or Valentine’s Day, you can order the heart-shaped cakes. 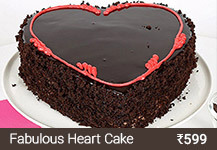 To make someone feel special, we have the photo cakes for you! 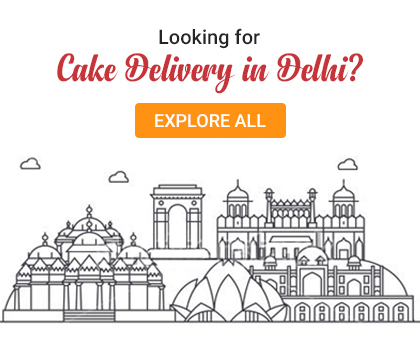 We have an awesome delivery service all over India and thus you can send cakes to Mumbai, Delhi, Bangalore, Kolkata, Gurgaon, Noida, etc. 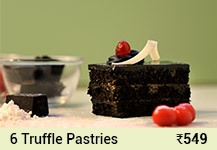 So, start placing your orders now and soak yourself into the scrumptious layers of cakes!